Ben Mitchell and Ashleigh Barty are the 2012 Latrobe City MSS Security Tennis International champions after taking out the men’s and women’s singles titles. 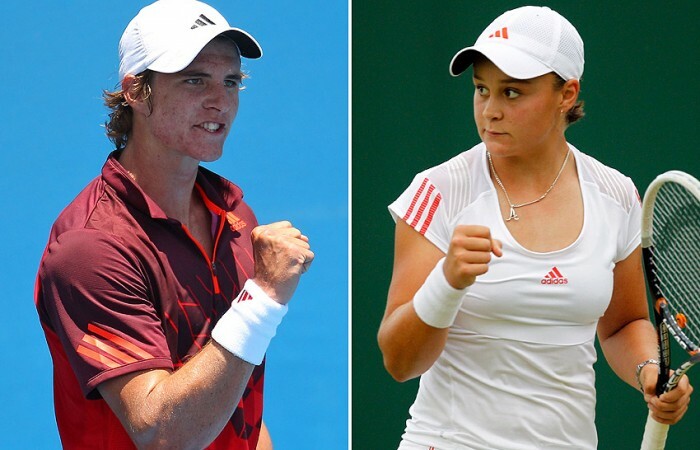 Queensland’s Ben Mitchell (Worongary, Qld) and Ashleigh Barty (Springfield, Qld) are the 2012 Latrobe City MSS Security Tennis International champions, after taking out the men’s and women’s singles titles respectively in Victoria yesterday. World No. 340 Mitchell defeated close friend and fellow AIS Pro Tour Program member Luke Saville (Barmera, SA) 6-3 2-6 6-1 to win the Traralgon crown for the second consecutive year. “It’s always good to come back and defend the title,” said Mitchell after his match. “I was up 6-3 2-1 with a break and I hadn’t lost a set all tournament and was hoping not too but Luke really stepped it up and gave it all he had in the second. 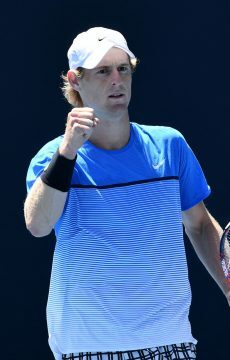 The win is Mitchell’s first ITF Futures title for 2012 and his fifth in his career to date. Leading into the final, the No.4 seed defeated a host of top Aussie players in straight sets including rising star Thanasi Kokkinakis (Seacombe Heights, SA), Alex Bolt (Murray Bridge, SA) and Sean Berman (Melbourne, Vic) before out powering fellow Queenslander John Millman in the semis. Saville wasn’t without big wins either, taking out the No.3 seed Jose Statham (NZL) in the quarterfinals before defeating the No.2 seed Matt Reid (Dural, NSW) in the following round for a berth in the final. On the women’s side, 16-year-old Barty won her fourth ITF title for 2012 defeating seventh seed Arina Rodionova (Melbourne, Victoria) 6-2 6-3. “I got off to a pretty good start in both sets, going up 4-0. Arina put a bit of fight back in both sets but I was able to hold my nerve a little bit and get the win,” said Barty. At a career-high ranking of No.217, Barty’s ranking is only expected to climb after her latest win, with her win-loss record currently at 28-6 for the year. Barty’s week was challenging but the right-hander came through without losing a set after she took out the No. 6 seed Alize Lim of France before defeating No.3 seed Daria Gavrilova of Russia. “I’ve had some tough matches, especially my semi that was some of the best tennis I’ve played ever so was happy to get through that one,” she said. Barty and partner Sally Peers (Glen Waverley, Vic) couldn’t capitalise on a match point to secure a third title when they went down to Rodionova and former world No. 1 doubles player Cara Black from Zimbabwe in the women’s doubles final 2-6 7-6(4) [10-8]. New Zealanders Statham and 2012 Margaret River winner Michael Venus took the men’s doubles title over Matthew Barton (Manly, NSW) and Michael Look (Scarborough, Qld) 3-6 6-3 [11-9]. The Australian Pro Tour will now travel north to Bendigo for the William Loud Bendigo International (27 October-4 November), the last tournament of the 2012 calendar.